Surrounded by area orchards and vineyards, this property offers stylish décor with stone accents to create a lodge-inspired ambience. 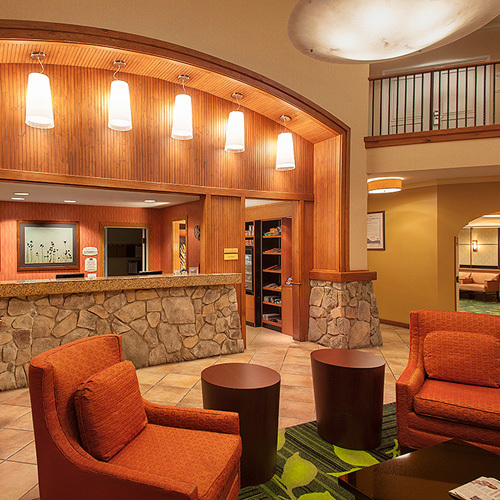 Each spacious room has a food and beverage nook near the entry. Smoke free premises. 82 units. 3 stories, interior corridors. Accessibility (Call). US 101 exit SR 116 W northbound, 8 mi w; exit SR 12 W southbound, 7 mi w to Main St. 1101 Gravenstein Hwy S 95472.